A veteran of the Baltimore music scene with his former band The Bridge and then as a solo artist, Cris Jacobs is no newcomer. 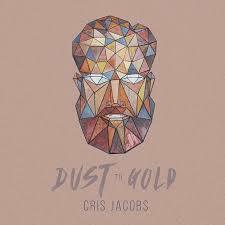 My fist introduction to Jacobs was his most recent album Dust to Gold, released in late 2016 and finding my ears in early 2017. Jacobs' smooth vocals compliment perfectly his musical style that is reminiscent of The Guess Who and a laid back Allman Brothers. The big take away from this album? It's good songwriting combined with excellent vocals and fantastic instrumentation. Never heard of The Swamp Music Players before but kinda digging this song, "Crowd Pleaser". 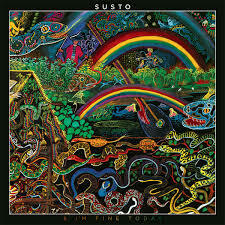 There is some heady stuff on Susto's most recent album & I'm Fine Today. I'll leave that for listeners to parse out. I'm not qualified to comment on social commentary. Musically and lyrically, it's a mess. And I mean that in good way. Susto lilts their way through difficult subjects, making one think while not coming across as preachy or divisive or angry. Maybe it's in the way the lyric is delivered, Much of it deadpan and nonchalant. And then you have the music, which is all over the place. Not just throughout the album, but within songs. Just when you think you're locked into a song, it takes a hard left and takes you to another place. You have to be an album listener to fully appreciate & I'm Fine Today. One or two songs won't do it. Where does & I'm Fine Today fit in the today's music spectrum? Hell if I know. It checks off the one line that matters to me; good music. Other than that, I don't know, Americana? maybe. But that seems too much of a catchall. I'll just say this; if you like Houndmouth and HoneyHoney, then this album is for you. If you don't know who they are, just listen and decide for yourself. 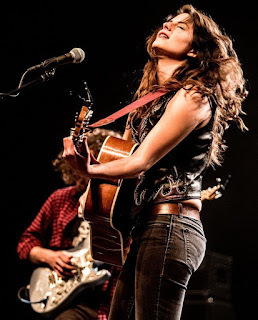 Tenderfoot is the fourth release from Pennsylvania native and independent artist Caroline Reese, either as a solo artist or with her band the Drifting Fifth. To be quite honest, I had never heard of her until a week ago. I'm sorry I have missed out. Ranging from hook-laden pop rock to introspective acoustic singer/songwriter songs, Tenderfoot is a great listen from start to finish. From the atmospheric "Stormchasers" to the stripped down acoustic "Unlocked" to the catchy "Airshow" to the swampiness at the end of "Beast", Reese and her band deliver an interesting journey through and amongst genres that all flows and never seems disjointed. Fans of pop rock, Americana, and country can all find something to like, but the real winners fans of good music, because Tenderfoot is chock full of good music. Stevie Nicks' first solo album Bella Donna was released in 1981, 36 years ago in July. I listened to it again recently and wanted to revisit how good it actually is and how the music landscape has changed so much in the past 35 years. Bella Donna went platinum (one million album sales) within three months of its release and has sold over six million worldwide since its release. What different times we live in now. Bella Donna also spawned four songs that hit the top 40 or better of the Billboard Hot 100 charts. Listening now, this album would be thrown into Americana, because it belongs nowhere else in today's musical spectrum. It was pop rock in 1981. And believe it or not, it's too country for country radio in 2017. All the songs on the album were written or co-written by Nicks except for the Tom Petty duet "Stop Draggin' My Heart Around" (written by Petty and Michael Campbell) and seven of the 10 songs penned exclusively by Nicks. Then there was the other duet on on the album with the iconic Don Henley, "Leather and Lace". "After the Glitter Fades" was the fourth single released from Bella Donna and later covered by Glen Campbell. This is the vibe of most of the rest of the album, save "Edge of Seventeen" (see below) and I'm surprised it hasn't been covered more by country artists. And finally, probably the most known song from Bella Donna, at least among people who listen to classic rock radio, "Edge of Seventeen". I could put the official video here, but this live version from 2011 is twelve minutes long and features long time Nicks guitarist Waddy Wachtel. Gotta give some love to the musicians. If I had 2015 to do all over again Eliza Neals' Breaking and Entering may have made one of my year end lists. Unfortunately, I didn't hear this album until a couple of days ago. That's the beauty of music, there is no expiration date on good. Whether it be 2015 or 1995 or 1965, good music is good music. And that's what Eliza Neals provides: good music. Hailing from Detroit, Eliza Neals borrows heavily from the Mississippi delta and combines it with the upper midwest blues style with just a touch of rock. Neals has vocals reminiscent of Janis Joplin, Bonnie Raitt and Stevie Nicks. That combination makes for an enjoyable listen for those that like the blues but not too pure. Listen to this, and tell me I'm not right. Here is a Spotify playlist of every artist on my year end lists.